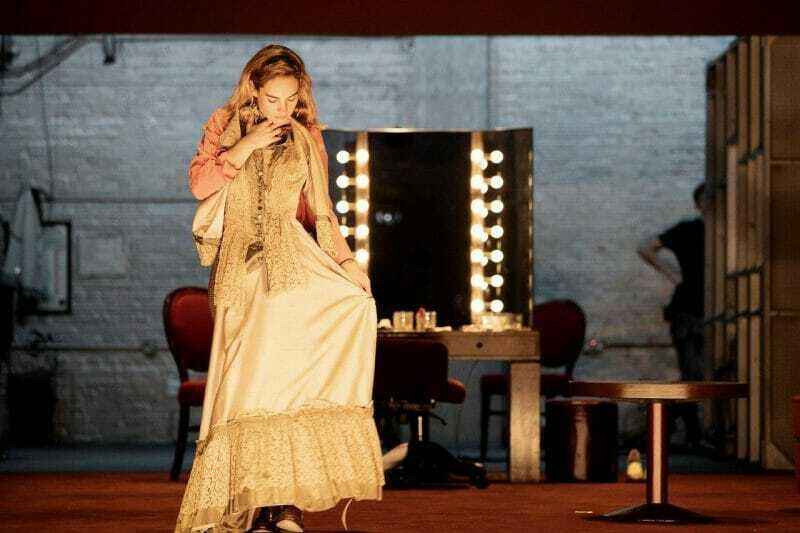 Ivo Van Hove’s stage adaptation of the classic 1950 film, All About Eve, has been much anticipated ahead of its opening at London’s Noël Coward Theatre. Based on an iconic movie, it has attracted some big names, and employed a hugely cinematic style to its presentation, but it feels like this production should be all about the cast over everything else. This stage adaptation is almost identical to the film on which it is based. Broadway star Margo Channing is introduced to a super fan, and immediately takes her in and gives her a job, but while Eve seems like the perfect assistant, she has higher aspirations. Intending to usurp Margo Channing’s position and become a star herself, she employs some underhand methods to get what she wants, no matter at who’s expense that comes. The staging is pretty innovative, the central part of the set serving as a dressing room, or lounge. The surrounding walls lift occasionally revealing a ‘backstage’ area where props are being stored, but this is also utilised for various other scenes. There are two rooms, a bathroom and kitchen which are almost fully enclosed, but the use of the live video projected on to a large screen opens these areas up. That screen is also used to broadcast live footage from cameras concealed in the dressing room and bathroom mirrors, it’s all very Orwellian. It works to a certain extent, but there are niggling flaws. The kitchen seems very small and sparse for a couple of prestigious standing, and while the bathroom works for the house or dressing room but why is there a bath so prominent in a restaurant washroom? The live video looks impressive to begin with, but I soon found myself distracted from the dialogue by long, lingering shots of a champagne glass. Jan Versweyveld’s set and lighting design seems to keep the whole production in a permanent state of sepia, a nod perhaps to the nostalgia surrounding the film, though it does start to wear on the eyes eventually. Similarly, PJ Harvey’s beautifully constructed and rythmic score constantly pulsates in the background, presumably to create a heightened sense of tension. The problem is that there isn’t really that much tension. In modern times, the actions of the characters are not particularly shocking. Eve ingratiates herself in to Margo Channing’s life and takes a number of duplicitous steps to further her own career in the pursuit of fame. You could watch any reality TV show, cooking competition or talent show and see much worse acts of self-promotion. As for the leveraging of an influential theatre critic to drive the narrative, well that isn’t so damning either, it might even happen in the West End. Where the production does excel is in the cast. 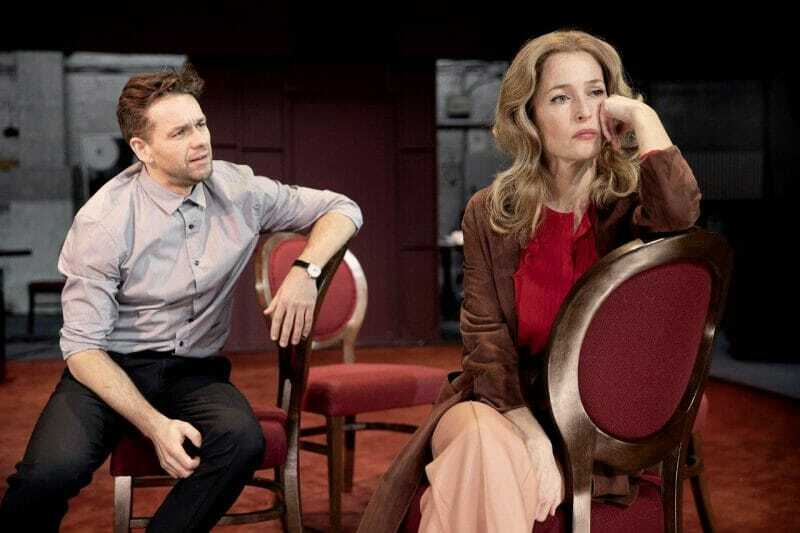 Gillian Anderson is demure and sophisticated as Margo Channing, with just the perfect amount of aloofness to convince us of the characters’ stature. Lily James is excellent as the conniving Eve Harrington, scheming and plotting with such calculated innocence you almost start to believe her lies yourself. Monica Dolan threatens to steal the limelight with an outstanding performance as Karen Richards. For those familiar with the original film, this stage production of All About Eve will rekindle the love of an iconic storyline, but the Kardashian generation may struggle to see what the big deal is, in terms of plot anyway. The use of live video, whilst not as daring as Network at The National, gives the stage production some added cinematic styling, but what audiences will really fall in love with is the performances of the cast’s leading ladies. Photography by Jan Versweyveld. 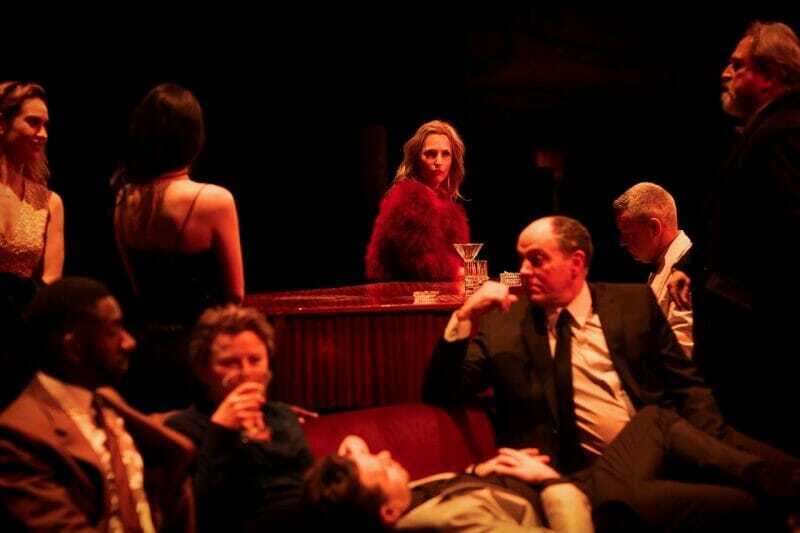 The cast of All About Eve including Gillian Anderson and Lily James. Photography by Jan Versweyveld. Lily James. Photography by Jan Versweyveld. 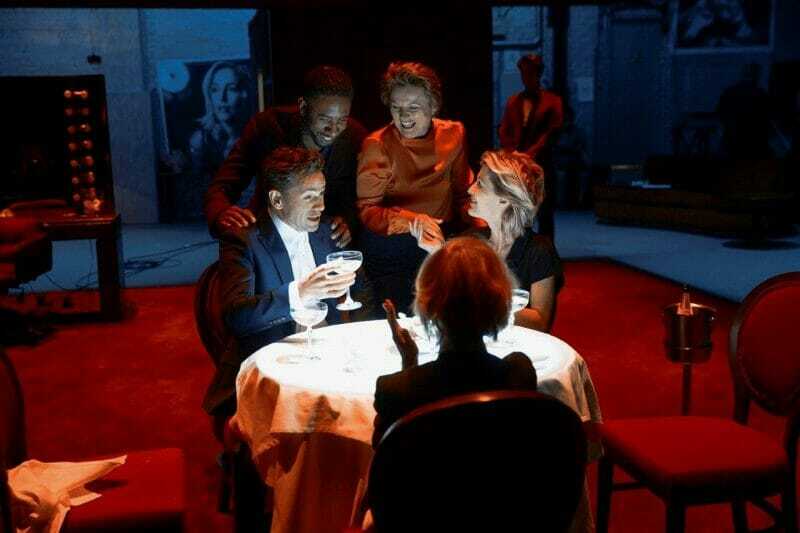 Julian Ovenden Rhashan Stone Monica Dolan Sheila Reid Gillian Anderson.